Forum tips and other helpful hints. You may have noticed an icon in the editor. It is the 4th from the right. There is an @with a person. When you post an article that someone you know may like, you can click that icon and a box pops up. Start to type their name and choices appear. To be notified if someone has tagged you for an article or reply, go to your profile page and click 'edit profile', then click in the notifications tab and check the box about being tagged either via forum/pm or email. This is also where you can select how you want to be notified about pm's and other things. Obamacare is nothing more than Social Security all over again. That too relied on one generation paying for a different generation. But the government stuck its thieving hands in the till and now we are supposed to trust them with Obamacare. The sad thing is that knowing that Social Security was destroyed by the very same people that want to run Obamacare, people started to try and save for their retirement, now those savings will be sucked up by Obamacare. To see a list of the latest threads or latest posts go to the Forum Information & Statistics area and the section called Threads and Posts. You will see a link for Recent Threads or Recent Posts. You can choose which way you prefer to navigate the site that way. I added a Recent Threads link at the top to help navigate the site easier for those that like the Recent Threads. This makes it so you don't have to go back to the Home page all the time after posting. The link is always at the top when you need it. Avatars - Go to your profile page and click edit profile, then click the avatar tab. If you want to upload your own avatar, just double click the button. Sometimes paste from an external article messes up - all the paragraphs get smushed together. If you paste in "BBCcode" view instead of "Preview" view, that does not happen. Weird but useful. "God created music so people could pray without words"
"Those who dance are thought mad by those who hear not the music." Yep those are the kind of weird tips you learn. I use the preview mode and I like to make titles a 12pt font. But I have learned that with this editor, sometimes you have to follow a certain sequence to get things the way you want it to look. Sometimes, I even have to post it, then go back in and edit it again to get the desired look. 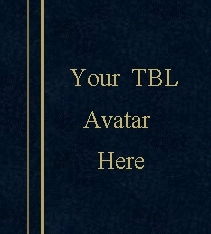 There is now a Large Text version of TBL available. Simply go to your profile page and click on edit profile, then on settings, then scroll down to themes, use the drop window and select Large Text, then save changes at the bottom. In the profile area under editor you can select preview. That will allow previews. Also, there is a spot to enable draft. This will save your post in case there is a hiccup. Now, in the profile area you will see a tab called Gifts. I checked them out and thought I'd comment on them so that others would know what to do with them. If you plan to purchase a gift for someone else, then you need to be in the recipients profile when you make the purchase. If you accidentally wish for a badge and don't know how to get rid of it, just go into your profile and into badges and remove the checkmark. It has been brought to my attention that some people may experience a problem staying logged in under certain circumstances. This is what Probaords had to say. "...This can sometimes happen when users attempt to login using "www" in the URL instead of "http://". Thought I would post this here, just in case we ever need it. I have added a plug in that allows you to change themes easier. In the lower right hand corner you see the PB menu There is now a yellowish orange T there for themes. You don't have to go into your profile/edit/setting anymore. This is much faster. I just wanted to point out a couple of ways to quote people. If you are in a longish thread and want to reply to several people in one post, you can click the gear of the post you want to quote and hit select post, then keep reading the thread and do the same 'select post' for each post you want to quote, then when you get to the last one that you want to quote, hit the quote button instead and it will bring all your selected quotes to the reply page. Also, if there is a long post you want to reply to, and you want to isolate a certain section to reply to, just highlight it and a little pop up button will appear and it will quote just that section for you.